These are fun and truly fabulous! Hubby was fascinated by these little “dogs” and a bit skeptical to try them, but one bite and he was hooked. I am still searching for gluten-free, vegan hot dog and burger buns, so for now, I just eat mine straight up. Hubby put his in bread with the traditional mustard and relish. And if you’re heating up carrot dogs, you may as well heat up some portoburgers to go with them! Peel and slightly cook in water, about a dozen large carrots until tender enough to poke with a fork but not too soft. Do not overcook. Mix all liquids and spices above into a marinade and pour into a 9 x 13 pan. Add cooked carrots. Cover and refrigerate, rotating carrots a couple times each day to cover with marinade and ensure they are soaking up the juices. Marinade at least two full days. More soaking makes them taste even better. 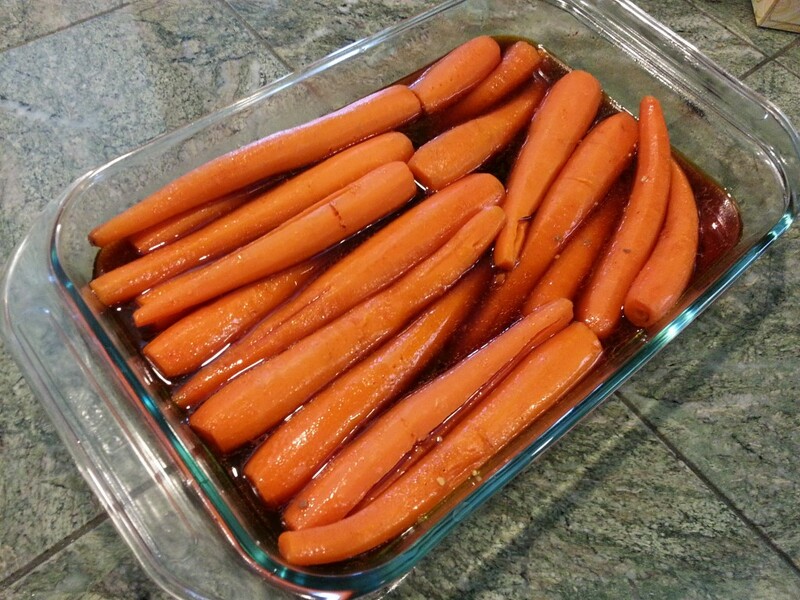 My carrots were still fresh after 5 days of marinading. 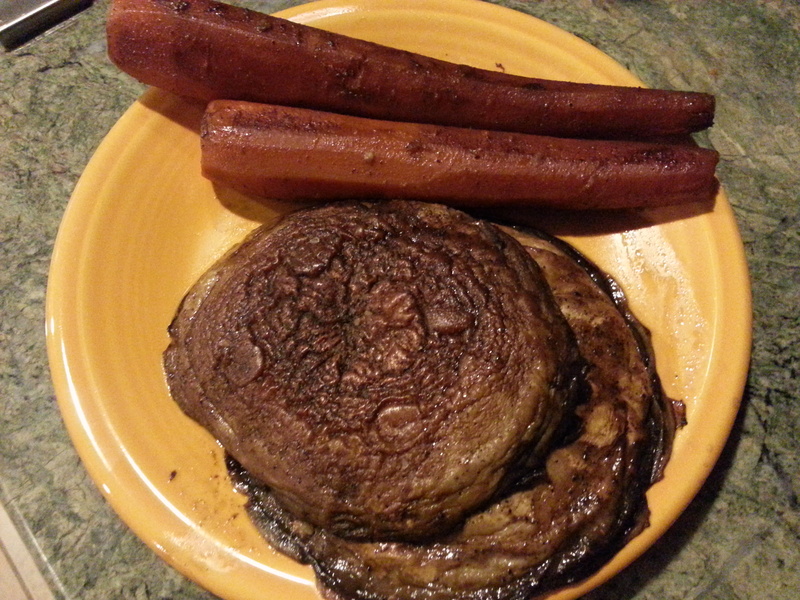 I think the pan cooked carrot dogs tasted better, but both were really good. 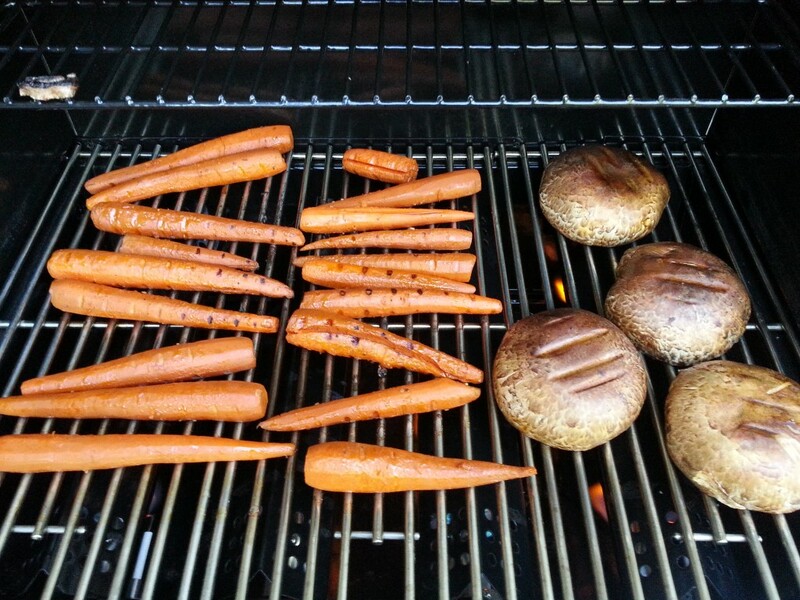 If you’re making carrot dogs, you may as well make a few portobello “burgers” too. Simply wash them, remove the stems and baste with a bit of marinade, both on the grill and in the pan. Cook them until slightly tender and warm throughout. Super easy! This entry was posted in main dishes, Recipes and tagged carrot dogs, carrot hot dogs, gluten-free, glutenfreevegan.me, glutenfreeveganme.com, grilled vegetables, grilled veggies, healthy, vegan burgers, vegan cooking, vegan dogs, vegan grilling, vegan hot dogs, vegan summer recipe ideas, veggies. Bookmark the permalink.